If you share your heart and home with a cat, then you've been drawn to this book because you're ready for the revolutionary material within this pages. 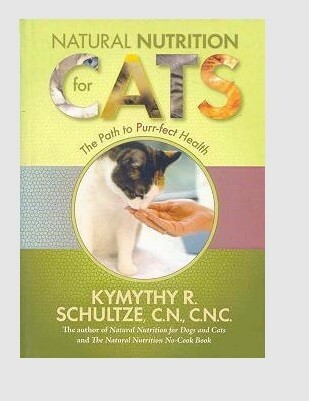 Kymythy R. Schultze’s wildly popular species-appropriate diet for cats has already improved the lives of literally thousands of feline friends and is endorsed by veterinarians worldwide. In this newly updated easy-to-understand text, Kymythy Schultze exposes the pitfalls of the pet food industry and shares her extensive knowledge of proper nutrition so your cat can live a long healthy and happy life. This book is a must-read for all cat-lovers! Kymythy R.Schultze has been a trailblazer in the field of animal nutrition for nearly two decades. She´s a Clinical Nutritionist (C.N. ), a Certified Nutritional Consultant (C.N.C. ), and one of the world´s leading experts on nutrition and holistic care for cats. Mehr zum Artikel "Book: Natural Nutrition For Cats"